Headband that is guaranteed not to move! 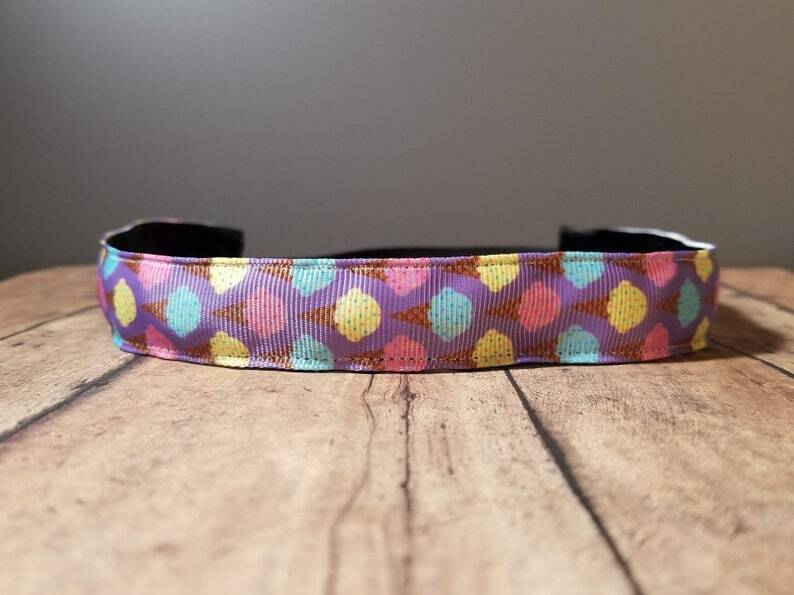 This headband is easy to wear, easy to wash, and easy on your pocketbook! They fit all ages! Great for everything from kids’ sports, women’s sports, work life, or out on the town! My standard size runs approximately 21 inches flat. The elastic makes it perfect for all size heads. This size fits ages 8 and up perfectly. If you have a smaller head or find that you like it a different size for yourself, just contact me and I can make whatever size you want! Each headband is made with high quality grosgrain ribbon and velvet lined to keep the headband on your head without slipping so you don't have to worry about adjusting it during your workout or your day. These headbands have been put through some of the toughest workouts by myself and my friends. They stay put! I have run 50k's and marathons while wearing these headbands and not had to adjust once. They are also a big hit with dental hygienists and other occupations- keeping that hair out of their face while they work! Workout tested and workout approved! Work tested and work approved! If you have any questions or would like a custom order, feel free to contact me! I am more than happy to help you! Are you social? Find us on Facebook and Instagram at Goat’s Goodies. Sign up for our newsletter also via our Facebook page to stay up to date on sales! Looks just as expected! Will be wearing this for a fun-run event the day before Easter. If you would like a group order, please email me and let me know how many and what you would like. I will invoice you when they are ready!